St. Patrick's Day was once celebrated as a religious and cultural feast in memory of Saint Patrick, the patron saint of Ireland. 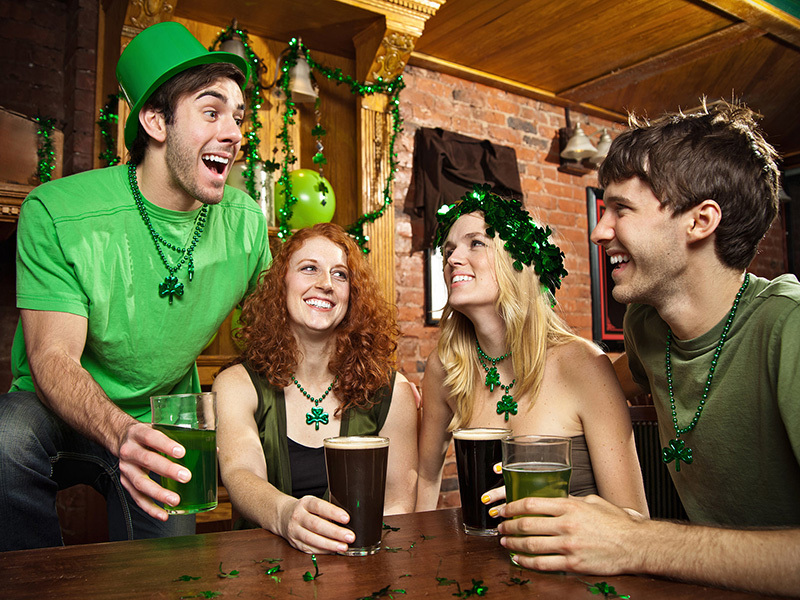 In the United States, this unofficial holiday has come to be known as the one day a year where it's socially acceptable to wear green from head to toe and eat and drink in excess, regardless of whether you're Irish. 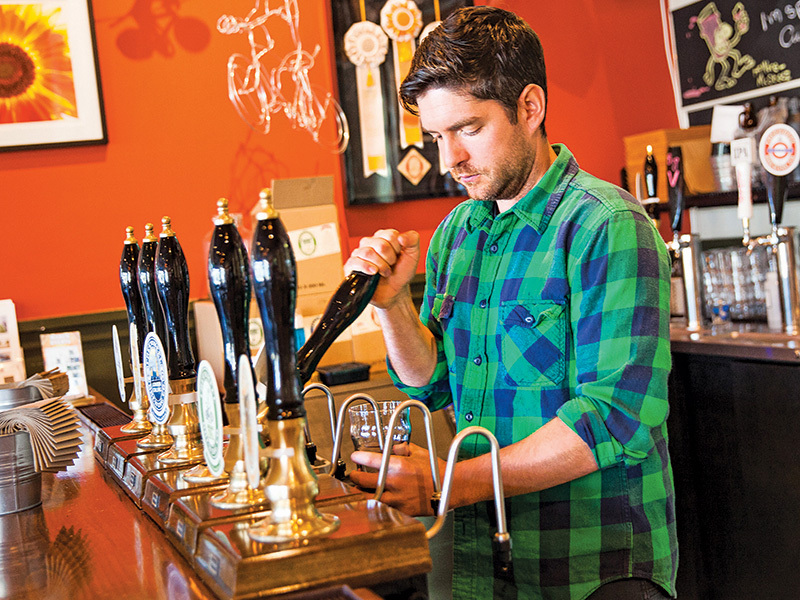 Whatever your plans are this St. Paddy's Day, the luck of the Irish is on your side: use this list of places to eat, drink and be Irish on the Midpeninsula on March 17, from breweries pouring limited-edition Irish stouts to bakeries stamping out shamrock-shaped sweets. With the most extensive calendar of events for St. Pat's, St. Stephen's Green in Mountain View will be celebrating all week long with a variety of Irish-themed events. Try the traditional Irish breakfast ($14.79) of Heinz baked beans, Irish pudding and rashers (bacon) at brunch on Sunday, March 13, or test your knowledge on the life of Saint Patrick on Monday, March 14, at Irish trivia night. On Tuesday, St. Stephen's will be hosting a Guinness dinner ($50 per person) with four courses of beer and food pairings (Smithwicks beer paired with corned beef-topped colcannon potato cakes; Guinness Nitro paired with a seasonal pear and beet salad). Party into the wee hours of the morning on St. Patrick's Day, starting with a performance from Irish Celtic band Rosin the Bow from 4-8 p.m. and ending with tunes from DJ Tony from 9 p.m. until closing. Get your "oi" on at O'Malley's Sports Pub in Mountain View with live music from Celtic punk band O'Craven, starting at 9 p.m. on St. Patrick's Day. Snack on Irish-themed appetizers (all under $15) like corned beef tacos or corned beef sliders. In addition to the festively colored green beer ($3), O'Malley's will be pouring pints of Guinness, shots of Jameson and Irish Carbombs all night. If you stop in before 5 p.m. you can get in for free, otherwise there's a $5 cover fee at the door. If you're passionate about Irish beers, Molly Magees is the place to be on St. Patrick's Day. 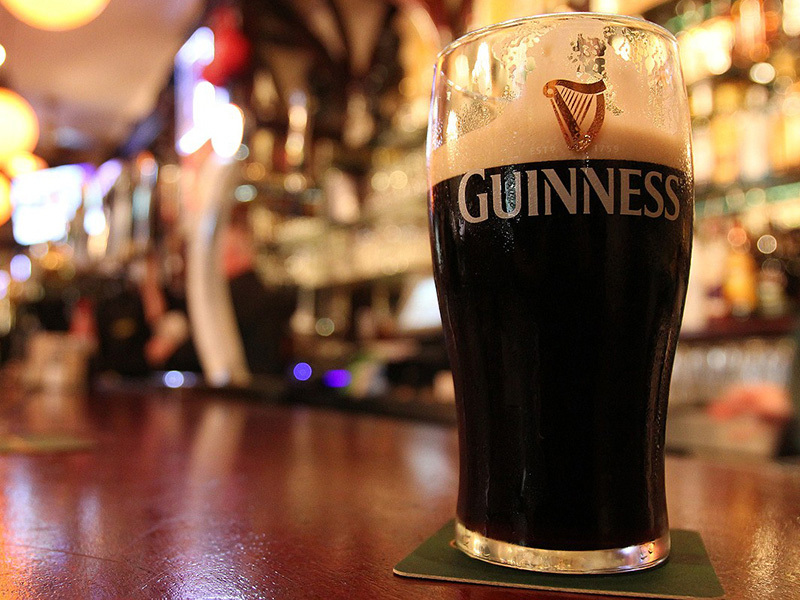 Located a few doors down from St. Stephen's Green on Castro Street in Mountain View, bartenders will be pouring five kinds of Irish beer, including Smithwick's, Harp Lager, Kilkenny and Guinness, and one Irish cider, Magners. If you're feeling daring, try the mixed beer combos like the "black and blue" (Guinness and Blue Moon), the "snakebite" (Harp and cider) or the "dark and steamy" (Guinness and Anchor Steam), all under $10. Stop by after 6 p.m. and catch DJ D-Roc and Dynamic D spin electronic dance, hip-hop and more until closing. Join Silicon Valley's oldest and most-awarded brewery as we go green for St. Patrick's Day. 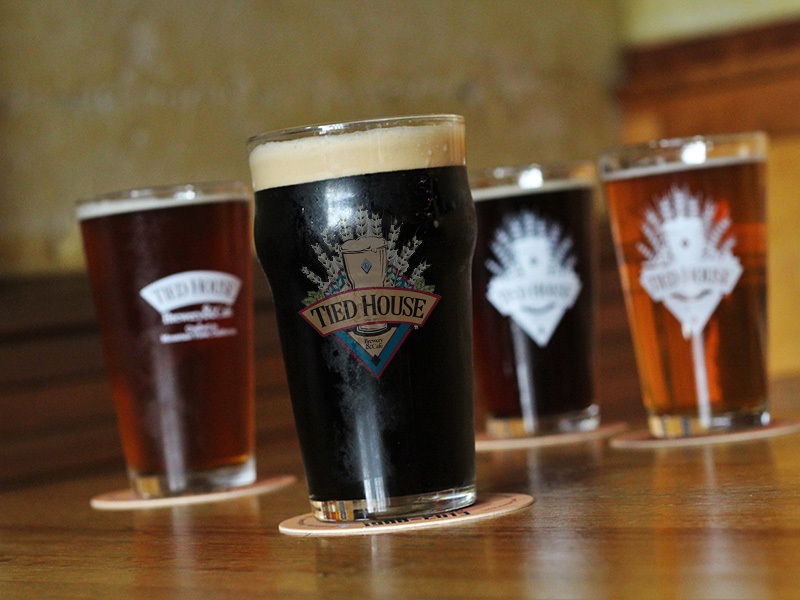 O'Tied House will feature traditional favorites like award-winning oatmeal stout, corned beef and cabbage, and house made Bailey's chocolate cheesecake, along with a few shenanigan inducing specials like $4 green ale pints and $1 jello shots. Join the celebration at 954 Villa Street, downtown Mountain View. This year, Freewheel Brewing Company in Redwood City is ringing in its annual St. Paddy's Day Bash with the introduction of three special stouts brewed just for the occasion. These "anarchy brews" are: a shamrock stout with mint, coffee and cocoa; a coconut and cardamom stout; and an Irish warmer stout with bitter orange, cloves, brown sugar and other spices. In addition to its regular menu, Freewheel will be serving up corned beef tacos for $3; orange, white and green Irish nachos ($7); and curry fries ($5). Stop in between 7 p.m. and 10 p.m. and catch Dr. Colossus rocking out to Irish jams and covering favorites from The Red Hot Chili Peppers to The Stone Temple Pilots. Feel like some green cuisine this St. Patrick's day? Thankfully there's the oh-so delicious, emerald hue pasta entree of penne al pesto at Carpaccio's. 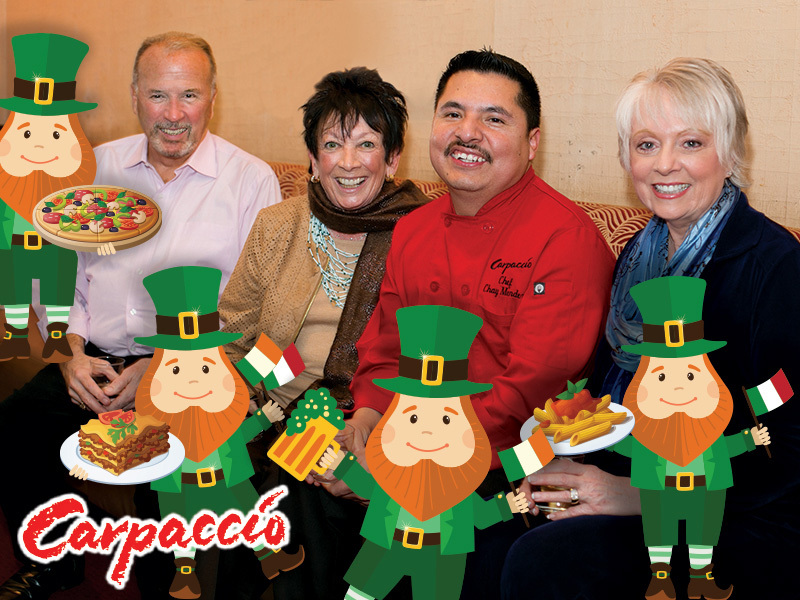 This long-time favorite Downtown Menlo Park restaurant, and multi-winner of The Almanac's Readers' Choice award for Best Italian, will pay homage to our Irish friends by featuring traditional corned beef and cabbage on a special St. Paddy's Day menu. (But don't you worry, they'll still be serving their world-class Italian dishes.) The management team of Bob, Ciya, Sandra and Chef Chay invite you to come down to Carpaccio's as they raise a glass and say, "Salute!" or "sláinte!" Known for their seasonal menus and farm-to-table philosophy, Mayfield Bakery & Cafe in Palo Alto is spinning its version of the traditional corned beef and cabbage meal ($25) with locally derived ingredients. 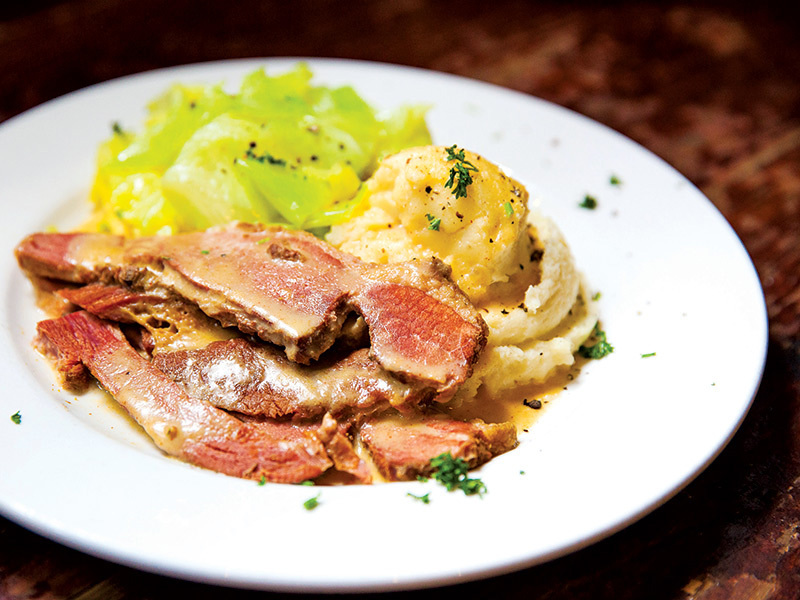 The corned beef is house-cured and served alongside arrowhead cabbage, savory-roasted potatoes and whole-grain mustard. Sip on an "Irish Elegance" (Jameson whiskey, Lillet Blanc, green chartreuse, ginger beer and orange bitters) with your meal for a neat $12. Pop into the bakery next door between March 13 and 17 for a loaf of traditional Irish soda bread ($2.75), baked fresh daily. In the mood for something sweet? 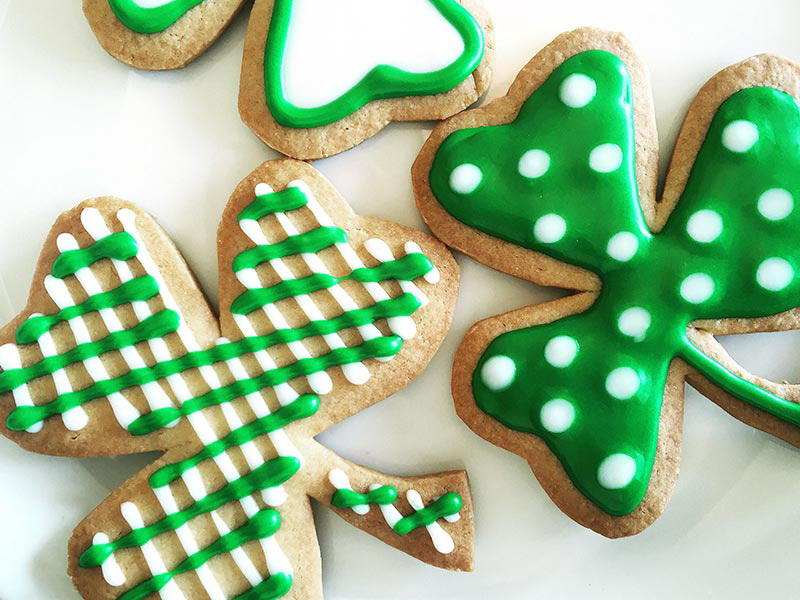 Munch on a shamrock-shaped sugar cookie ($3), with a tall glass of coldbrew coffee ($4). 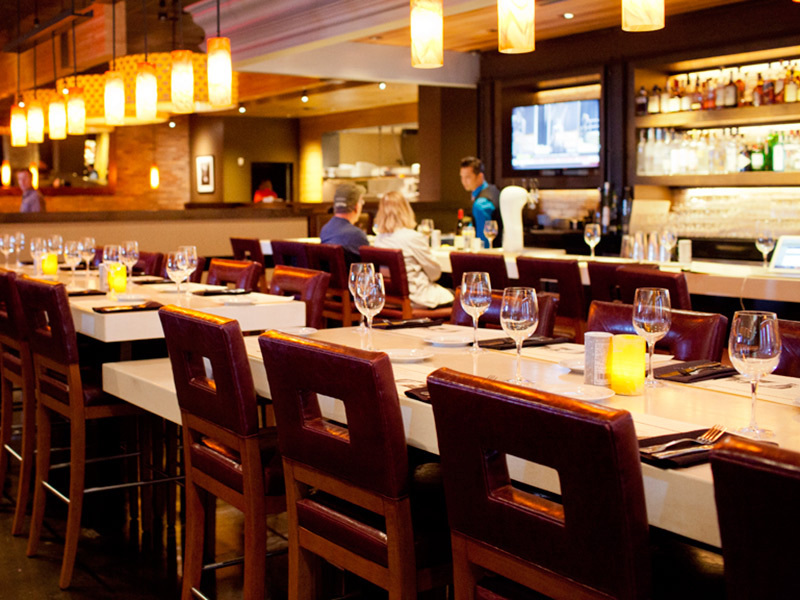 Celebrate St. Paddy at Paul Martin's American Grill in Mountain View on March 16 and 17 with the corned beef and braised cabbage dinner. For $25 you can dine on a plate of sustainably raised, all-natural corned beef with your daily fill of vegetables, including braised cabbage, baby carrots and wedges of red potato, served with a side of salad.